Roadside Story is a rock band from Finland. band’s first single, Over the edge, in April of 2009. 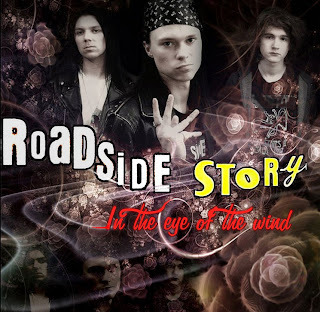 In the year 2009, Roadside Story made lots of gigs in Western Finland. They also spent lots of time in their home-studio making their first release. Their first EP, Bulletproof, was released on February 2010.
they released a single In the eye of the wind, via Spotify, Amazon and iTunes. Roadside Story is well-known for their brilliant songs, attitude and unique guitar solos. They are currently signed with Casket Music. Roadside Story's music has been played at many radio stations, from European to Mexican radio-stations.